This type of twenty residences is part of a large residential development of 250 units located at a prominent hillside in Cyprus. 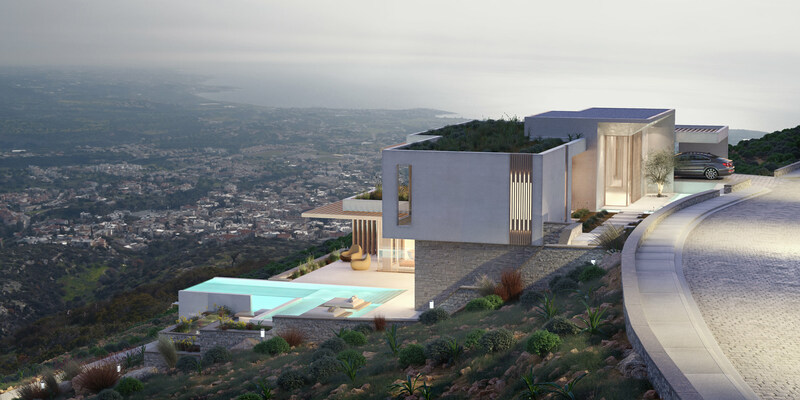 The project will be the first Zero-Energy residential development in Cyprus and the fourth of its kind in Europe. 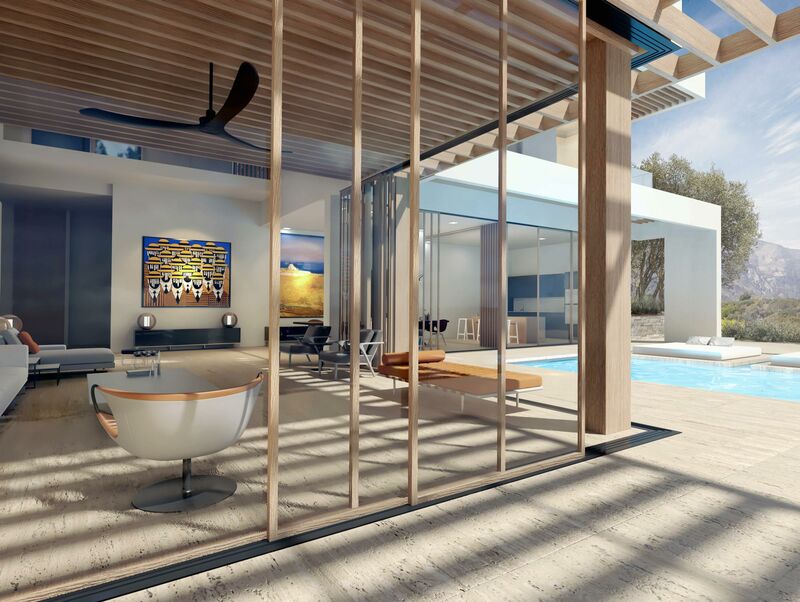 The goal of the overall design is to provide the residents a sustainable way living where luxury and ecology go hand in hand. 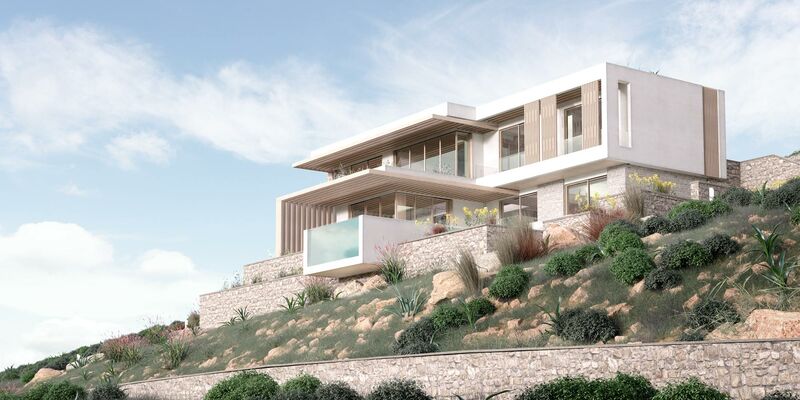 Every residence of this type has its own unique details and is carefully positioned to the unique plot to maximise vistas and energy performance. The steep slope of the site and the extreme heat during the summer period where some of the challenges of the design. 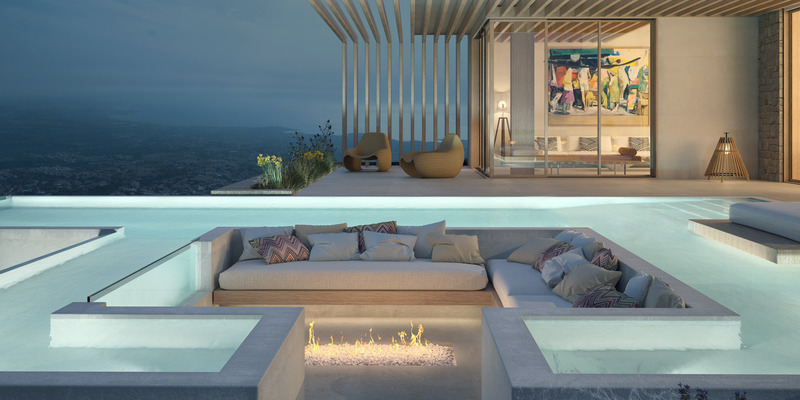 The residences have large window openings to take advantage of the panoramic views of the plot and at the same time they manage to achieve excellent energy performance rates. The external spaces are created as a continuation of the internal spaces. Built-in seating areas, floating sunbeds, outdoor kitchens and shaded spaces are designed to create unique spaces for relaxation and socialising.